Avast 2015 product line includes Avast Free Antivirus 2015, Avast Antivirus Pro 2015, Avast Internet Security 2015 and Avast Premier Antivirus 2015. All these products, although currently in beta, have been released for download, installation and testing. Update: Avast 2016 has been released. Please download Avast 2016 for the latest security. The biggest feature of Avast 2015 is Avast NG which is a hardware based virtuatlization solution capable of running each process in its own standalone, virtualized environment. This means that the the process can be isolated from rest of the system while still communicating as normal. This technology will also power the Sandbox and SafeZone components in the final version. The second new feature is the GrimeFighter which is a tool to clean junk files and system settings tuning and optimization. SecureDNS is another feature that I like. That means you will be using Avast’s DNS for name resolution and Avast can detect and block most of the malicious site even before they are opened on your computer. Unfortunately this feature is not available in Avast Free edition. The users of Avast Free can use OpenDNS for better browsing experience. Update (3-Feb-2015): The direct download links have been updated to the latest installer versions from Avast. If you find any broken link, please let us know through comments below. Update (3-Mar-2015): Avast has released Avast R2 line of products. We have updated the links to the latest Avast R2 installers. The new versions come with improved performance and stability fixes. Viděla bych to na jiný. Today I had tried to Install Avast Free 2015 Off-line. An error message and the end of the Off-line installation right at the beginning. After that it also was not possible to remove the installation file in Windows 7. Avast Cleaner gave the same error message and also didn’t work. So I had to remove the file (145MB) manually in Safe mode. And had to adjust my administrator rights to do so. 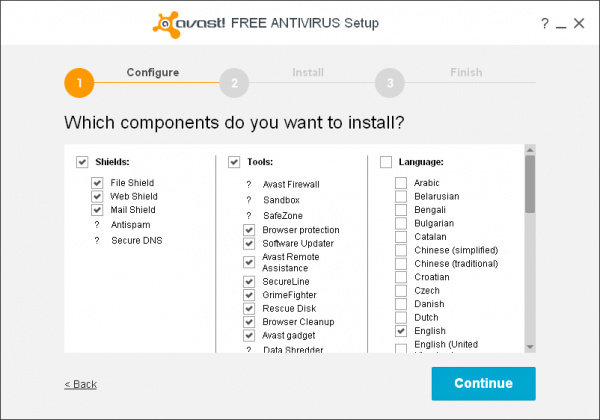 Only the Online AVAST Free installation works for me and like a dream ! Installing AVAST 2015 not only gives a error message and quits (Windows7). But also removing it after trying to install it wasn’t working. Not even the AVAST Cleaner worked ! Only succeeded to remove the 145MB install file manually in Safe mode. And by changing the Administrator right in Safe mode !! Never had so much problems with any off-line Viruskiller before ! The On-line AVAST works like a dream. The Off-line AVAST installation file (+500MB) just doesn’t work !! An ..inst file is not found or something. And copying the whole directory from another pc after installing it there doesn’t work either. So I can’t use AVAST off-line on my laptop. I do not know how to thank you bro! This is the only sight I have come across that does not drag one through face book/survey etc. where is the register key ? great!!! my laptop is safe now..
do we need a product key for this? The free antivirus doesn’t require a license key. All other versions are trial versions and will work for 30 day trial period without a valid license key.